This whole grilled fish recipe is as simple as it gets. It doesn't require almost any prep work and is simple and delicious. However, like anything, how good this turns out is really dependent on your raw materials. 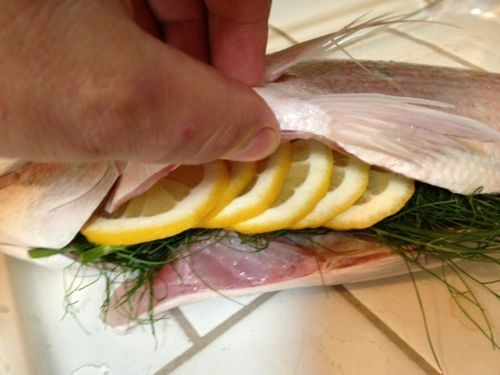 If you have a beautiful, fresh fish, this will turn out beautifully. If you use a crappy, old fish with poor flavor to begin with, this won't turn out well. So whatever type of fish you choose, get the best you can afford and serve this for a special occasion. There is something extra special about serving whole animals, it just seems to make more of an impression on the table. A big whole roast turkey, chicken, duck or even pig is always impressive on the table. 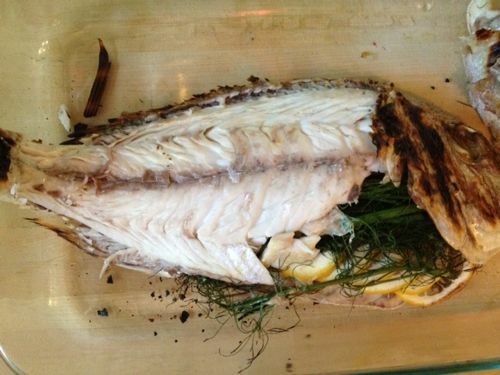 While in this country you don't see it very often, whole fish is quite the treat as well, assuming your guests aren't squeamish about seeing the fish's head and eyes! 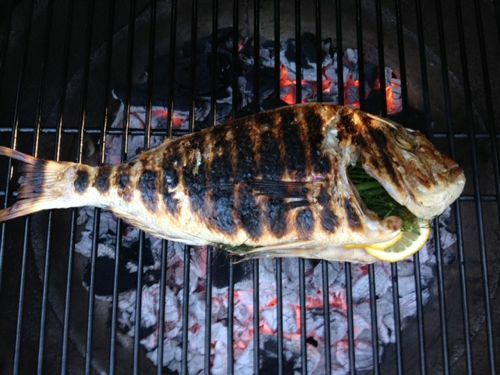 If you are just learning how to grill fish, this is just one of many ways. Whether wrapping in leaves, braising, or cedar plank cooking, there are a number of ways to keep this delicate flesh safe and juice, avoiding drying out the fish, which we all know ruins a perfectly good fish. Remember that for fish it always better to err on the less done side to avoid chalky, dry fish. The nice thing about grilling whole fish like this is that the skin and scales (which should be left on) act as a barrier to protect the delicate flesh within. As they char, the skin and scales become a crispy shell that later can be easily peeled back to reveal the tender flesh within, which has been able to steam in its own juices on the grill. A whole fish: There are several different fish you can use for this type of grilled fish recipe. Here I used a Thai snapper which was good but some fish like sea bass and halibut may have more natural flavor and juiciness. You can do just about any size fish as well, modifying the cooking time as required. Very important: When you buy your fish, tell your fishmonger that you want it gutted but that is it! Leave the fish otherwise whole with head and tail intact and be sure to leave the skin and scales on. If you ask most markets to clean the fish they will scale it as well so make sure to make it clear you do not want it scaled. 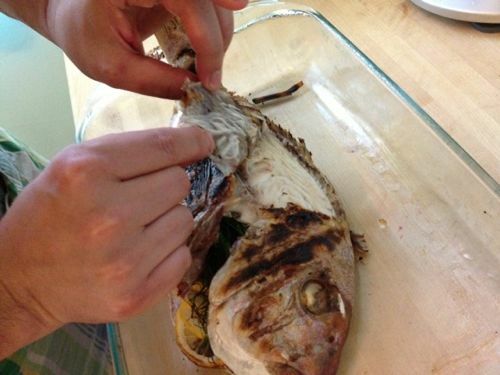 Again, don't prep your fish in any way but to gut it, leave the skin and scales intact. 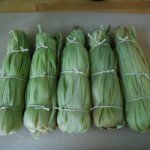 The body cavity can be stuffed with a handful of fennel stalks and greens and a few slices of lemon. Frankly, for a royal, expensive fish like a whole sea bass, you can grill it without any artifice whatsoever and it will be delicious. But I like the delicate fennel and lemon essence that this infuses into the fish and don't find it overwhelming. 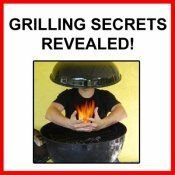 Prepare a hot grill for direct heat and lightly oil the cooking grate. You do want the grill to get nice and hot. When the grill is ready, simply throw that bad boy directly over the hot coals and wait. 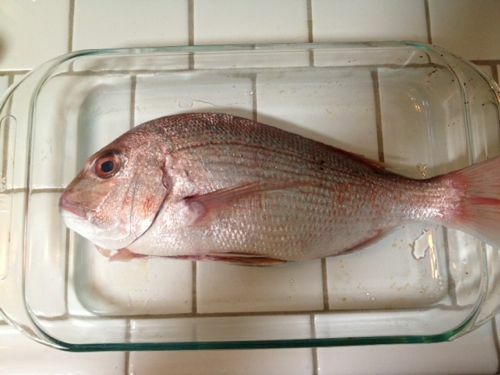 Timing for cooking is variable depending on the size of your whole fish. Generally, for each inch of thickness of the fishes body measured just behind the gills, you'll need to grill it for about 10 minutes, give or take. For this smaller snapper it only took about 20 minutes but a larger bass or halibut can take quite a bit longer. Halfway through the cooking time, flip the fish to char the other side as well. When done to your liking, remove the fish from the grill gently with a large spatula, to avoid tearing or breaking apart the fish. You'll notice that the skin and scales have charred to a crispy scabbard that ensheathes the yummy flesh within. To open it, use a sharp knife to cut the skin down the length of the back, across the tail, down the belly and just behind the gills. You can then gently peal back the charred skin in one piece, revealing the filets inside. The fish can then either be served as is for smaller fish, allowing each diner to use a fork to remove pieces of filet. Alternatively, with a knife or spatula you can gently slide under the filet, starting at the top of the back and lift the filet out to serve separately. Remember that you may have missed some spots of meat (such as the succulent cheeks!) so after you finish the filets, use your fingers to remove any flesh remaining on the bones. Thats it! I hope you enjoy this whole grilled fish recipe! 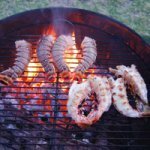 Done with the Whole Grilled Fish Recipe page? 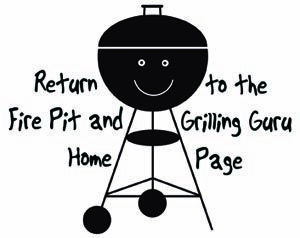 Return to the Grill Recipes page.